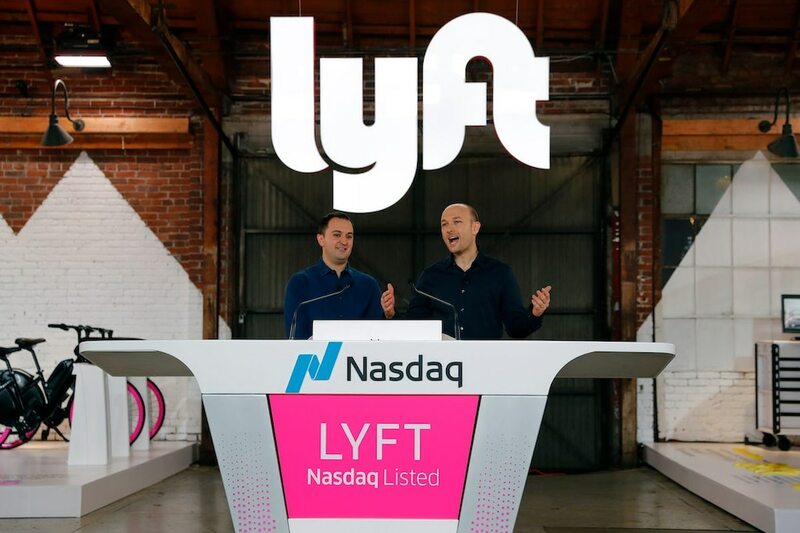 Lyft shares plunged as much as 12% Monday morning, one day after debuting on the Nasdaq. The stock traded below its initial public offering price of $72 a share. 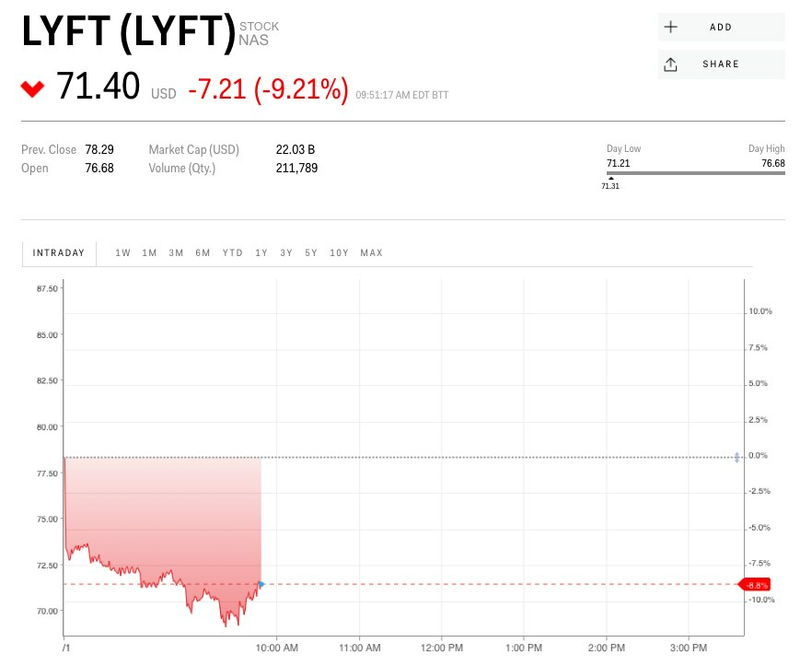 Lyft plunged in its first full session of trading Monday, one day after its historic debut as the first ride-share company to hit the public market. Shares fell as much as 12% shortly after the opening bell, hitting a low of $69.16. On Monday, Guggenheim began covering Lyft with a neutral rating due in part to uncertainty surrounding its path to profitability and revenue growth sustainability. Friday’s initial public offering was oversubscribed, and shares opened for trading at $87.24, well above the $72 where they priced the prior evening. On Friday, Lyft’s debut was something of a mixed bag. Although shares booked a gain of 9% on Friday, they closed at session lows and turned negative in after-hours trading. Some analysts are concerned about risks surrounding the fledgling company. Lyft posted a $911 million loss last year, and faces stiff competition in the crowded ride-sharing space. Rival Uber is expected to go public next month. “While Lyft is purely a domestic vendor within the US, there remains some wild cards around the path of the company’s autonomous vehicle ambitions, international expansion,” as well as further market share gains, wrote Dan Ives, an analyst at Wedbush, in a note to clients last week. Of the seven Wall Street analysts covering Lyft shares so far, most are neutral on the name. Five have a “hold” rating, and two have a “buy” rating. None recommend selling.